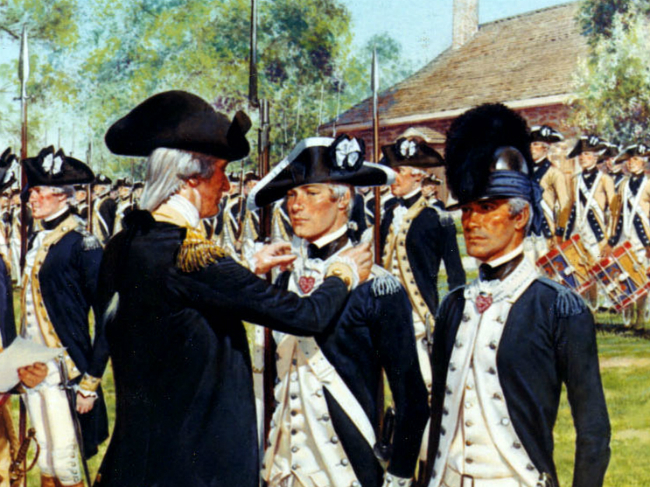 During the Revolutionary War, Washington had only awarded the purple heart to three people: Elijah Churchill, William Brown and Daniel Bissell, Jr. It wasn’t until 1927 when US Army chief of staff General Charles P. Summerall wanted to bring the award back and Congress denied the bill. Thanks to the efforts of General Douglas MacArthur, in 1931, who pushed Congress again to reinstate the medal prior to the bicentennial of Washington’s birth. On February 22, 1932, creation of the “Order of the Purple Heart” was announced by the US War Department. 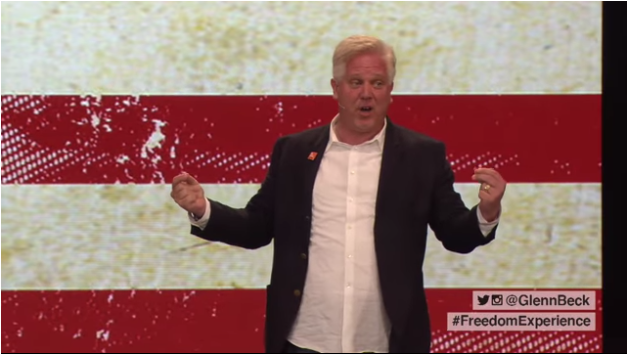 Over the weekend, Glenn Beck spoke at Fellowship Church in Texas at the Freedom Experience. It is a lengthy but powerful message that needs to be seen by your family and friends. 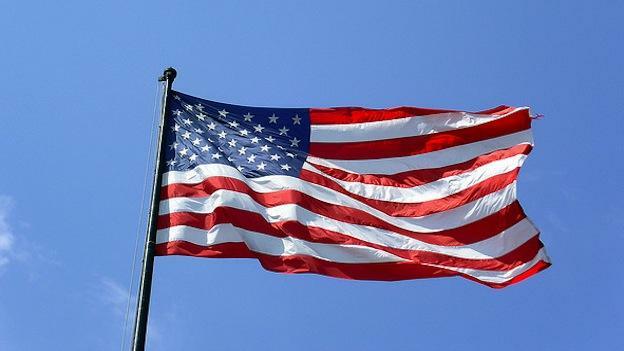 On the 14th of June in 1777, the Second Continental Congress, by resolution, adopted the flag of the United States. It wasn’t until 1916, did President Woodrow Wilson issue a proclamation to set the day aside as Flag Day. The American Revolution had been going on for a few years when this letter from Alexander Hamilton wrote John Jay. The reason for his letter was about some of the contention over allowing slaves to take arms and defend America from the British. In the North, the blacks had already begun to fight, but there was some opposition from the Southern colonies. Those in the South were concerned that if their slaves were given arms, they might turn on their owners. The blacks in the South didn’t taste of those same freedoms their counterparts did in the North. One of the freedoms they tasted was defending what they believed. What they believed was freedom. It was the reason for the very existence of America, and they knew it. Those in the South, wanted that. Allowing any man to secure their “freedom with their muskets” was the very reason for the American Revolution. Petitioning men of the South to allow slaves to take part was unheard of to them. However, while some had already taken up arms, estimates of some 5000 blacks would serve as soldiers during the war. Something that certainly opened “a door to their emancipation” years later under the presidency of Abraham Lincoln. Today, we enjoy many freedoms thanks to the countless patriots of yesteryear. Hundreds of thousands of blacks serve in the ranks of our military, and to them we owe many thanks. And, thanks to those patriots, regardless of race, who stood for what they believed in during the American Revolution. The Northwest Ordinance helped change the shape, not only of the United States, but also the Constitution that had yet to be passed. The Northwest Ordinance was passed by the Congress of the Confederation in 1787. It was later signed into law by President George Washington in 1789 after the newly formed Congress reaffirmed it after small alterations according to the Constitution. The main reason for this was to lay boundaries to the Northwest Territory. It covered the area south of the Great Lakes, east of the Mississippi River, and north and west of the Ohio River. This was the first organized territory of the United States, and would be the model for future expansion. Arguably one of the most important parts of this piece of legislature is the prohibition of slavery for the newly formed territory. Not only did it set boundaries for the new territory, but it divided the north from the south. Which, would ultimately help lead to the Civil War. The language of the ordinance stated clearly that, “There shall be neither slavery nor involuntary servitude in the said territory.” This gave a new freedom to the slaves that were in the territory. But, one strange piece of wording gave a strange level of support to slavery when it said, “That any person escaping into the same, from whom labor or service is lawfully claimed in any one of the original States, such fugitive may be lawfully reclaimed.” So, on one side it outlawed slavery for new territories for the United States, while permitting it in certain areas of the original States of the Union. This newly found freedom for slaves helped shape the Natural Rights that we find talked about in the Constitution. In his Essay XI, Brutus wished to focus on the part of the Judiciary within the proposed Constitution. Of the three branches of government, the one that had received the least of attention was the Judiciary arm. There was plenty to say about the executive branch, and the legislative branch, but the judiciary was hardly touched. That being, Brutus of the Anti-Federalist party wished to address in his Essay XI. The same sentiments can be proclaimed today as they were at the time of this essay. The power that was to be granted by the proposed Constitution to the Judiciary branch was feared by many. Echoed today, it is easy to see why concern was raised as to the lengths of their power. One concern was that there was none above them. These are appointed positions by the president, but answered really to no one. There was nobody to put them in check. There was none that would be their balance. At least that was the concern, and rightly so. These men, and women of today, really have free reign. The only check and balance to their nature, is in the election of the president. Another plight was that eventually politics would get in the way and they would be able to legislate from the bench. Today, that issue is always of great debate. Thirdly, Brutus wanted their powers to be strictly laid before them. It was in his argument that they were to clearly focus on the interpretation of the Constitution, and that it would favor neither party or the government over the people. It was in his opinion that they would lean in favor of the government, and that they would be able to mold the shape of government for years to come. These same concerns are as relevant today as they were when he wrote this essay. With certainty, the judiciary branch has no real oversight. Who is to question the ruling of the Supreme Court? That was the fear then, and is certainly an issue today. The letters from the Federal Farmer argued that the proposed Constitution would give too much power to a central government. It has long been thought that Richard Henry Lee was the author of the letters under the name Federal Farmer, but some recent scholars believe Melancton Smith authored them. Either way you take it, it is the argument brought forth in the letters that should get the attention. The Constitution as it was presented was only a few weeks old when these letters were written, but the content thereof was an opinion worthy of getting attention. It was the opinion of the writer that the proposed Constitution would make the government too powerful and that it was set up to take power from the states. The proposition in the letters was that none other knew better for the people of one state than that of the same state. So, the view of centralizing all the power into the formation of a grand government was one that people were fearful of and in opposition of. So, the author of the letters wished to offer three solutions to be taken under consideration. A federal plan.This plan gave the most power to the states, and that they would operate separately under the powers of congress. The federal government would take an advisory role, instead of a governing role. A complete consolidating plan. This was a plan that would centralize, and operate, the respective states under one entity. It would render all powers of the states to the government. A partial consolidating plan. This plan would offer the most separation of powers of the three. It would give separate and divided powers to a federal government, while still allowing the states to govern on their own. Of these three plans, careful consideration was to take place on the direction of the Constitution. These Anti-Federalist views expressed in these letters were influential in the eventual passing of the Constitution and how the practice of government would be for the upcoming years. Even then was there an argument that the government had too much power. In Essay I, Brutus made his case against the proposed Constitution. Freedom fighters and Patriots sometimes come from unsuspecting sources. This time, in the form of an ‘Anti-Federalist’ named Brutus. Among the Anti-Federalist population was Brutus. Some have long debated that the writings of Brutus was New York lawyer Robert Yates. These debates – or essays or publishing’s if you may – began after the Constitution was written. It had yet to be ratified yet. So, these arguments were fully meant to inform and educate the whole of the people as to the business at hand. That business was to prepare for the upcoming vote on the Constitution. Brutus wished to express the idea that this proposed Constitution was too over-reaching. He viewed it as a way to give too much power to a central government, instead of that power being in the power of the people. He looked ahead into the future and saw a time where the government would exert their power over the people. It was this idea that the government should have very restrained and limited powers that is resonating today, and will for years to come. The Anti-Federalist group didn’t want a central government. They felt that that power to govern should be left in the hands of the states. Who knew better what the people of one state needed more than they did? At least that was what Brutus raised. He felt that having a central government would not be able to fully and properly represent and ‘secure the liberty of the citizens of America’ in a ‘full, fair, and equal’ way. Even though the Constitution clearly laid out a separation of powers, those like Brutus felt they were being given too much power and authority. They wanted it left to those closest to the people. So, visiting the previous question: Who knew better what the people of on state needed more than they did? His, or at least their argument was: How could someone in New York decide what was best for someone in, say, Virginia? This was a valid concern. One that is echoed today, and done so across all three branches of government. Brutus wanted the power to remain in possession of the states. His concerns would eventually come to fruition decades later. Today, that struggle to keep the power in the hands of the states is a hard one. The federal government continues to search for more power to push their ideas on others.